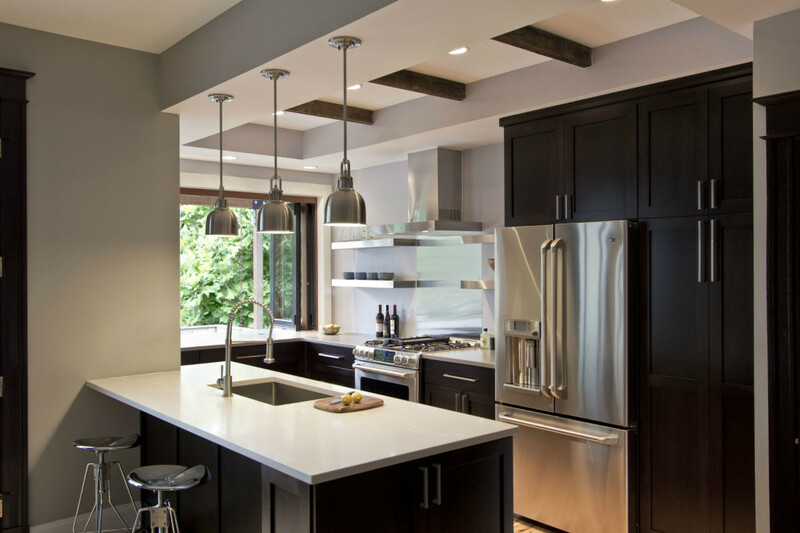 The kitchen of this Mt. 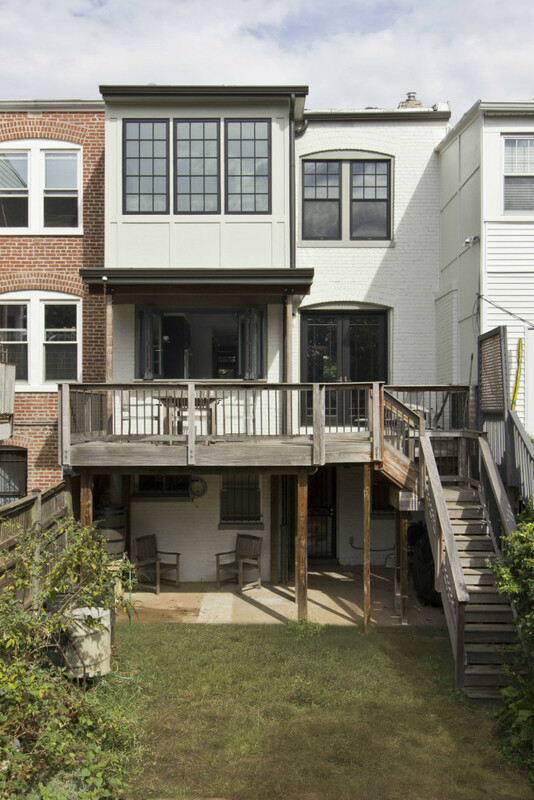 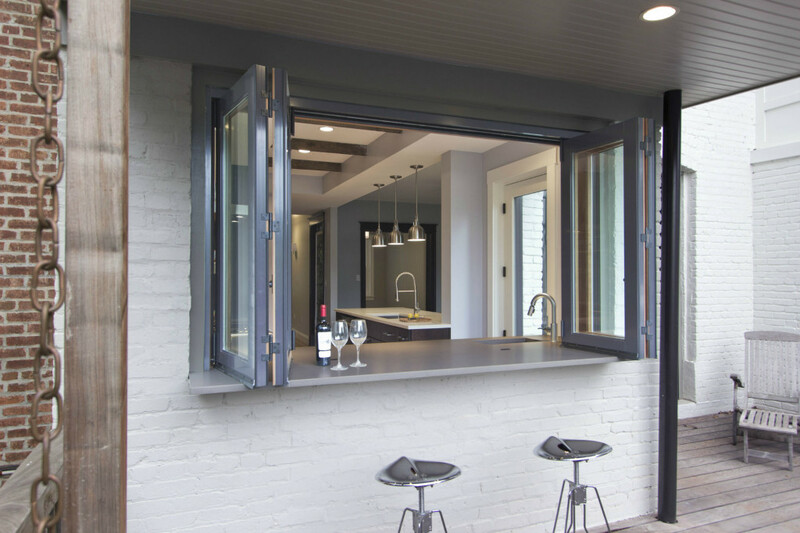 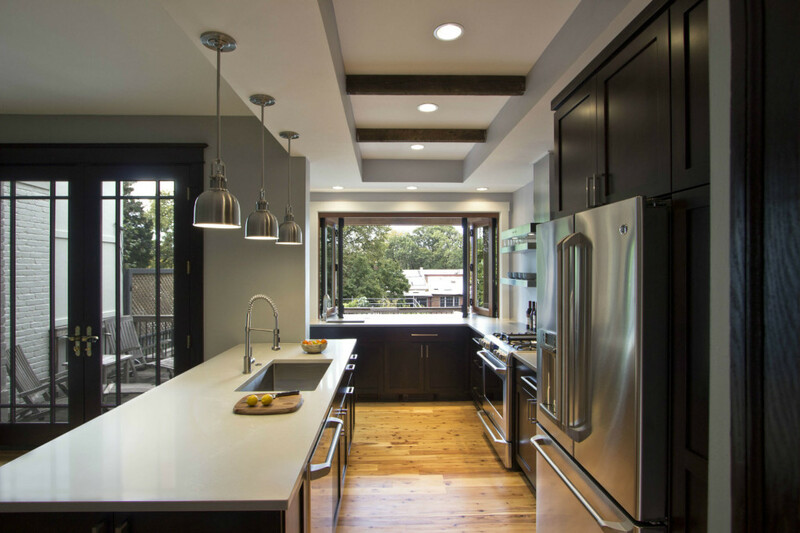 Pleasant row house was renovated to open it to an existing rear yard and deck with views to Rock Creek Park. 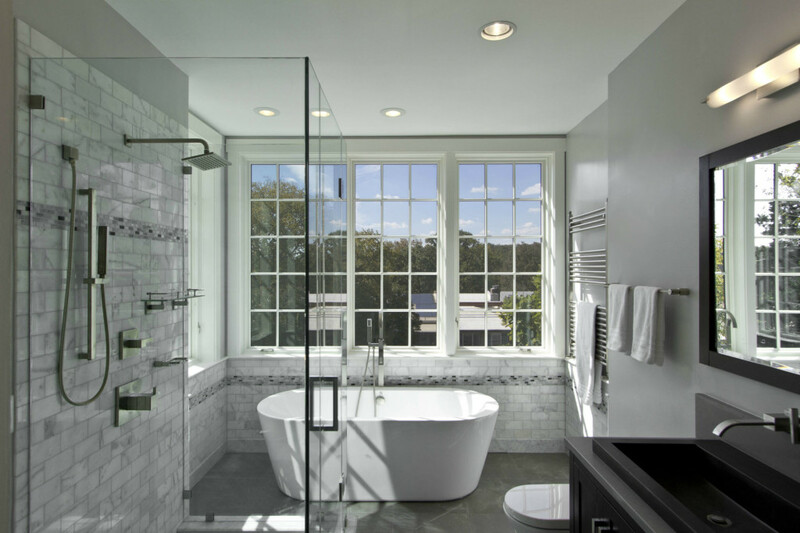 A new master bathroom projects into the rear yard, creating a dramatic window bay at the tub to further enjoy the view. 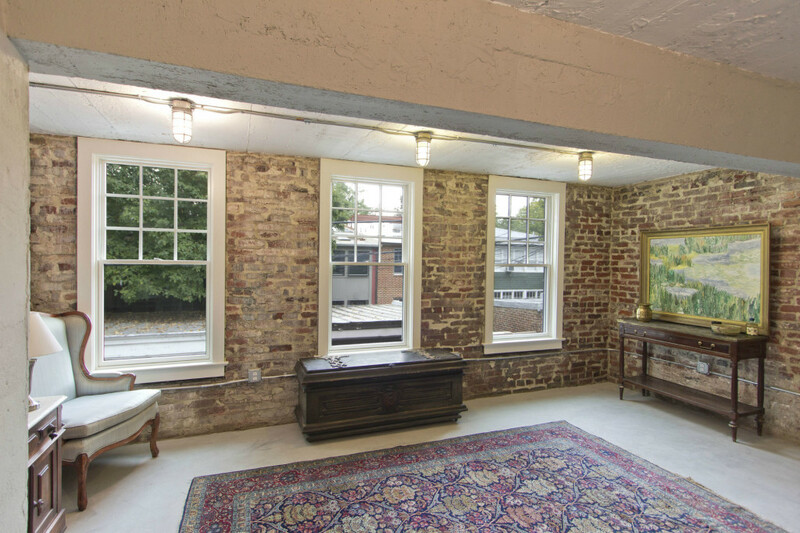 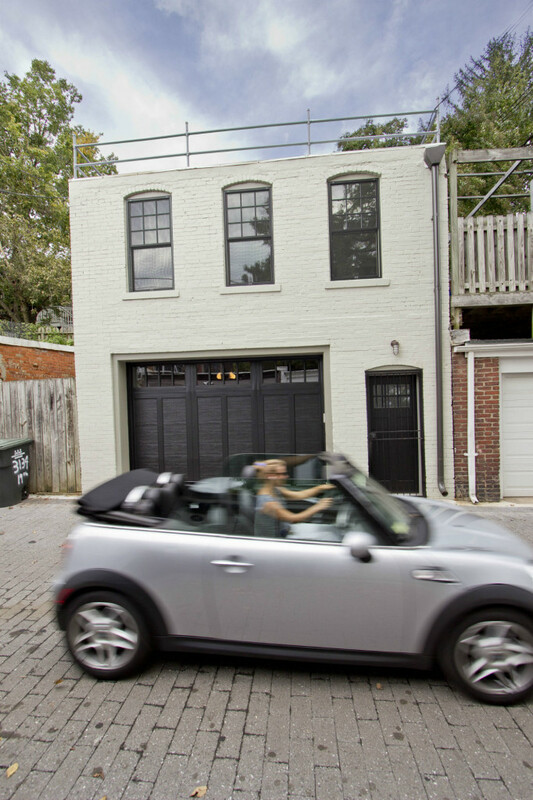 The project included renovation of the existing garage and studio above.